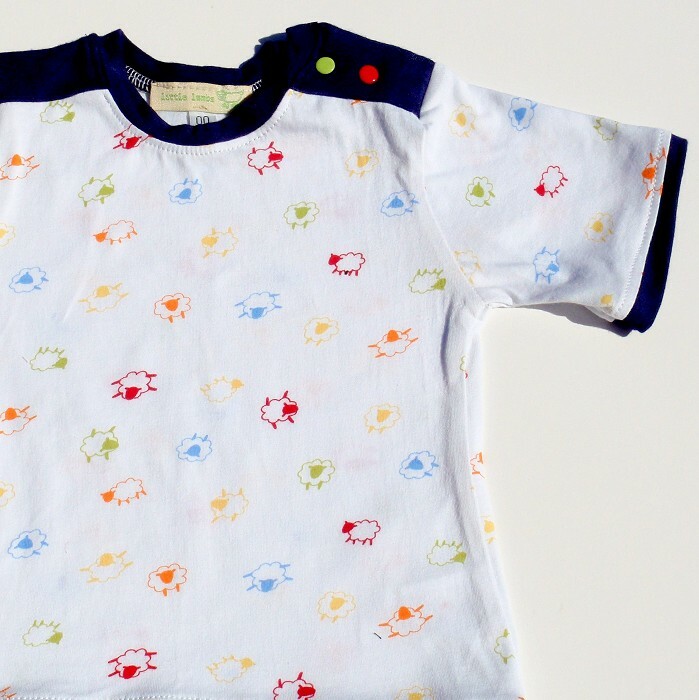 This cute cotton T shirt features adorable multi coloured lambs. 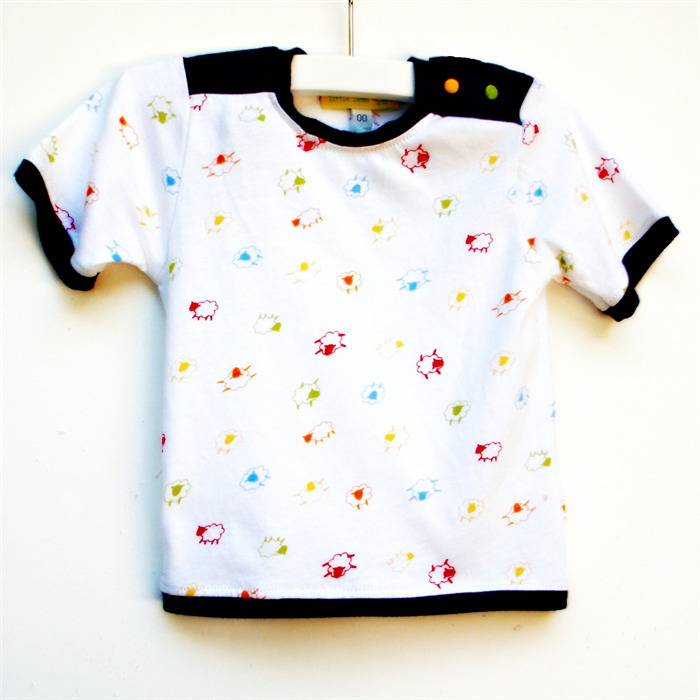 This style of tee is a favourite of mine, the epaulettes at the shoulders give a retro feel and the muliti-coloured snap fastenings make for easy and stylish dressing. Size 000 (I have 2) has an orange and a yellow snap fastener or lime green and orange snaps. Size 00 (pictured) has a yellow and a lime snap green fastener or is also available with lime green and red snaps. Postage is FREE! I live in Western Australia so please allow 1 week for postage if posting interstate. Express flat rate postage is an option. Free gorgeous gift wrapped always included and I can include a personal message for you on request. Paypal is my preferred payment option but Australian customers please contact seller on checkout if you would like to pay via direct debit or money order. Overseas buyers must pay via paypal.